This nourishing conditioner will revive and enhance red hair while neutralizing unwanted warm tones. Optical Brighteners add depth multidimensional richness and vibrancy to your hair. 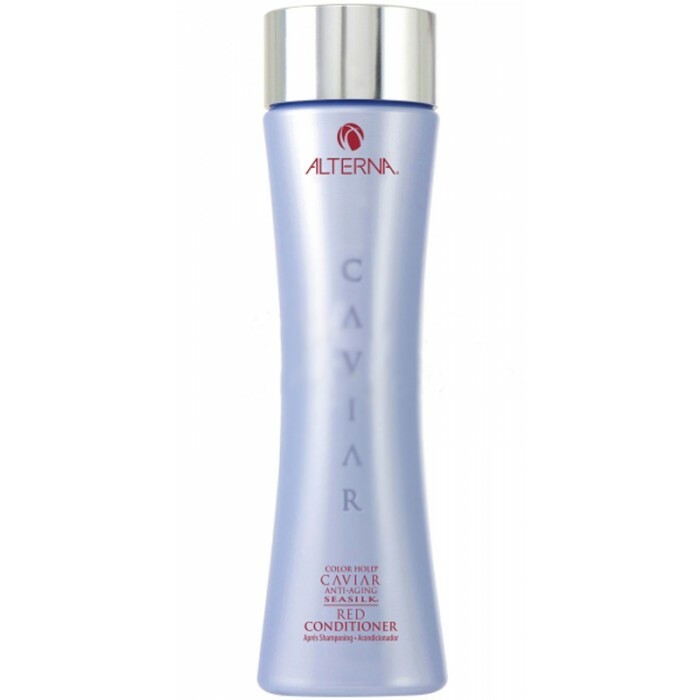 Alterna Caviar Anti-Aging Seasilk Red Conditioner seal in essential ingredients and reinforce their results. Stress from the environment the sun aging chemical services and everyday styling damages hair and leaves it brittle dull and lifeless. Provides superior color fade protection and UVA/UVB protection and targets the signs of aging for healthier more youthful looking hair. Directions: Massage throughout wet hair and scalp. Leave on for up to 3-5 minutes and rinse thoroughly. Age-control Complex. Color Hold. Enzymetherapy. Optical Brighteners. UVA/UVB Protection. Seasilk.